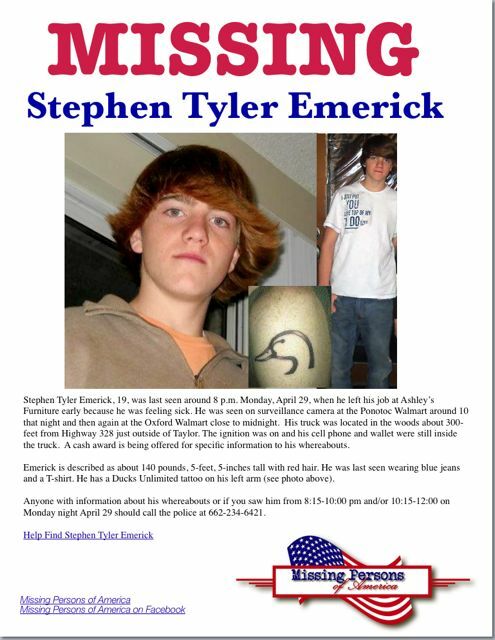 UPDATE 5/6/13 – Tyler’s body was found in the Yocona River where it flows into Enid Lake on Monday afternoon around 4 p.m., according to Lafayette County officials. The Lafayette County Sheriff’s Office is searching for a missing a teen. Stephen Emerick, 19, was last seen around 8 p.m. Monday when he left his job at Ashley’s Furniture early because he was feeling sick. 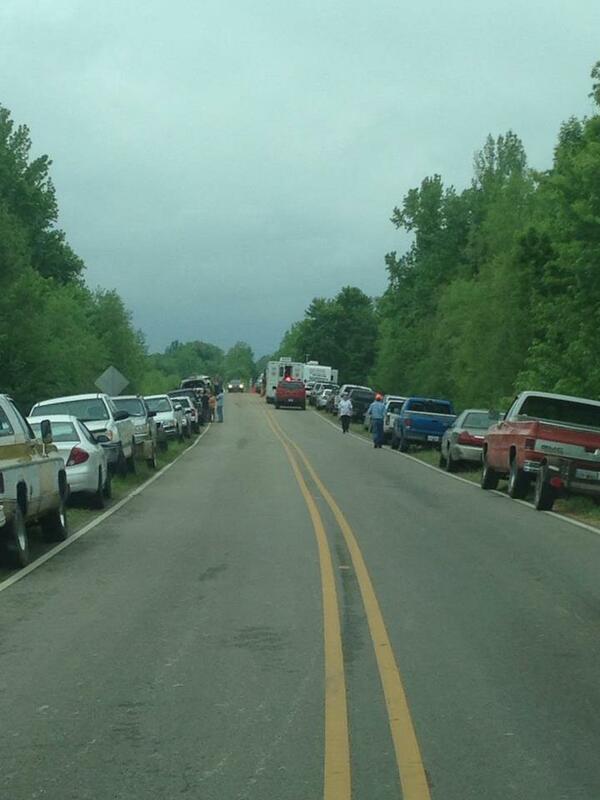 His truck was located this morning in the woods about 300-feet from Highway 328 just outside of Taylor. The ignition was on and his cell phone and wallet were still inside the truck. Emerick is described as about 140 pounds, 5-feet, 5-inches tall with red hair. He was last seen wearing blue jeans and a T-shirt. He has a Ducks Unlimited tattoo on his left arm. His mother, Samantha Clark, said her son never did anything like this before and has no medical or mental conditions that would cause him to wander off. Anyone with information should call, 234-6421.